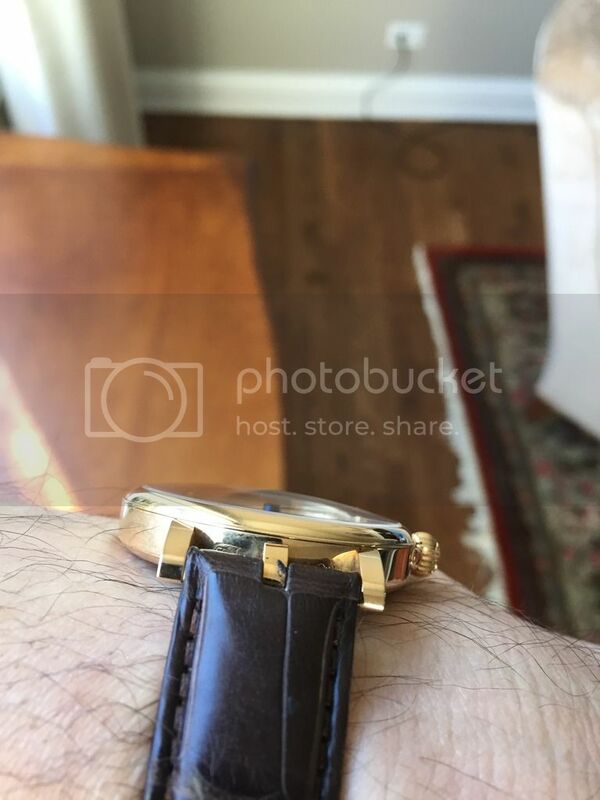 But we all like to mix things up, and Krazy Glue would make that process unduly painful. 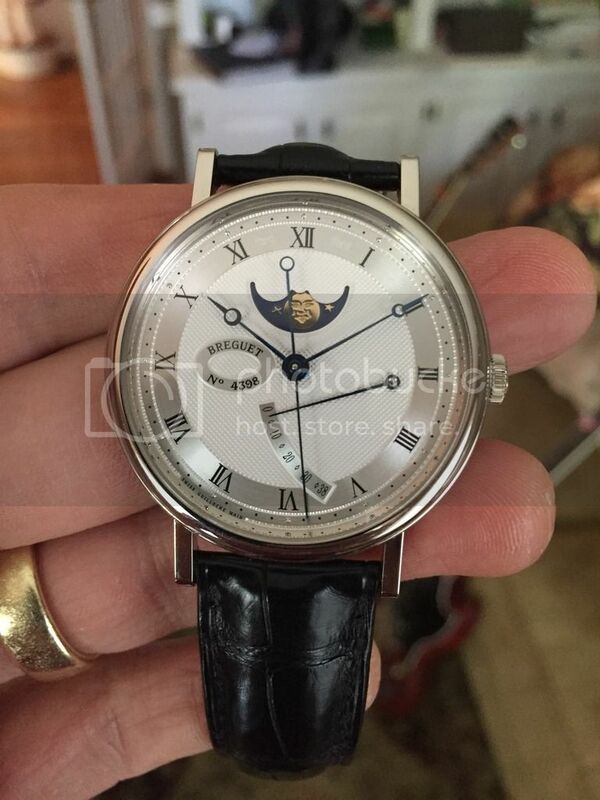 So here's the next best thing that I've found. 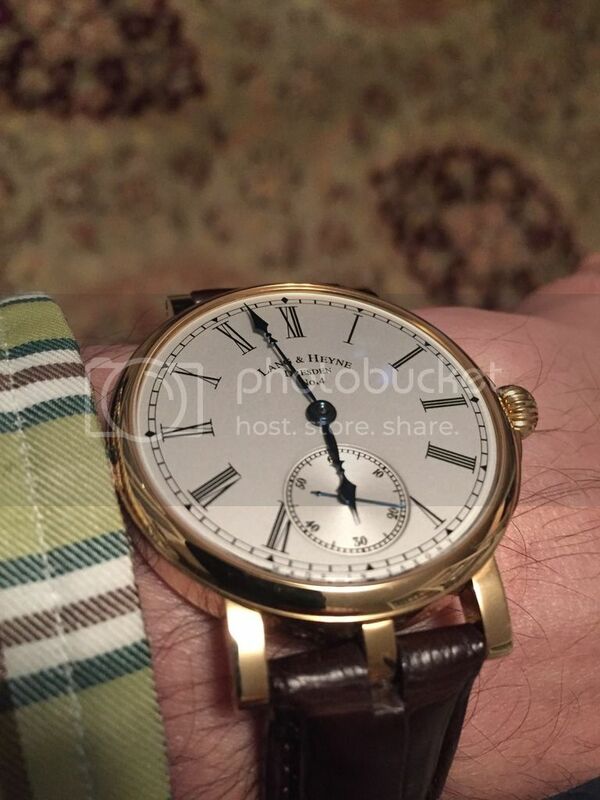 The Lang & Heyne Friedrich III. 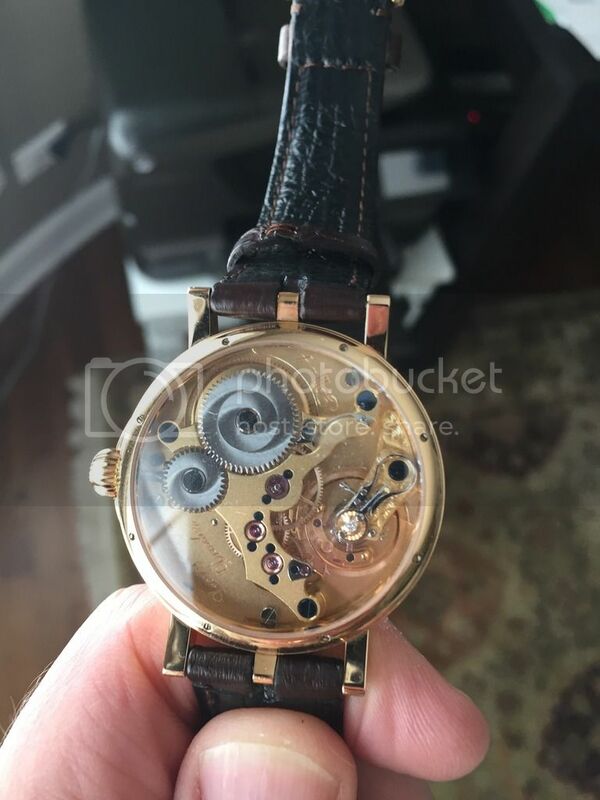 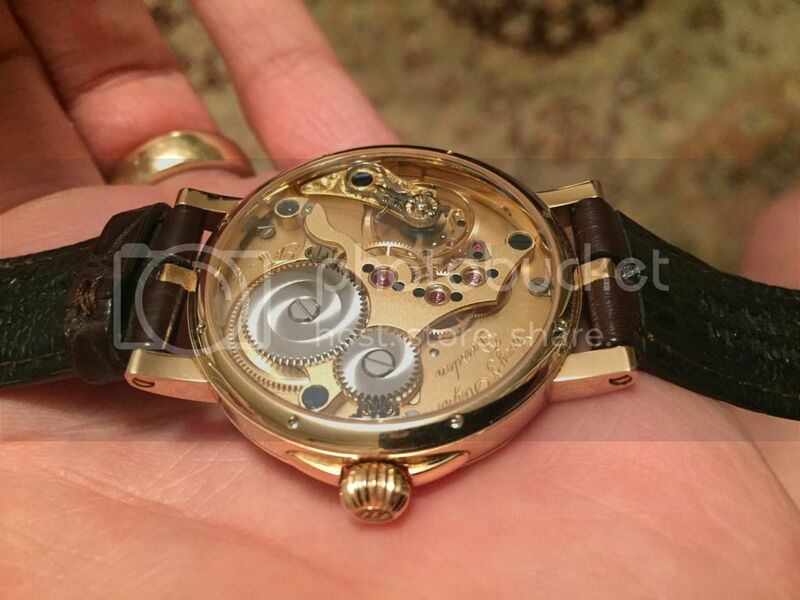 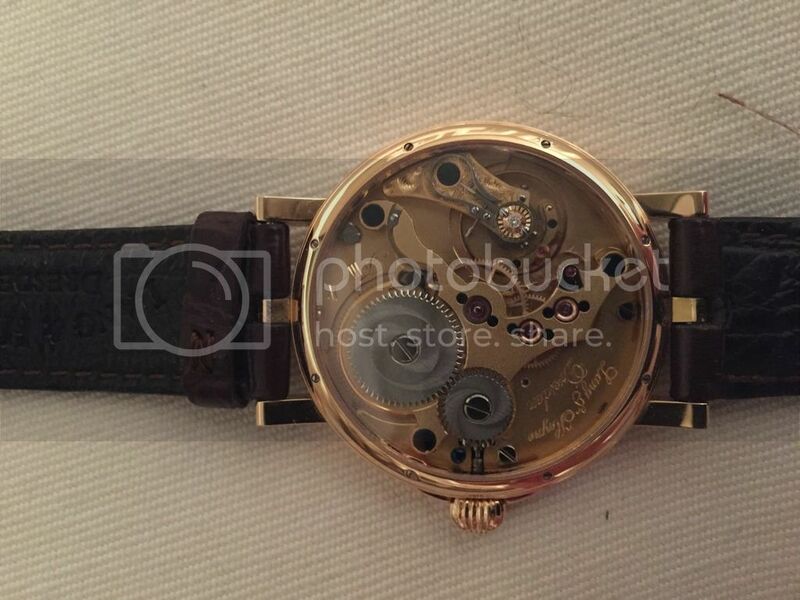 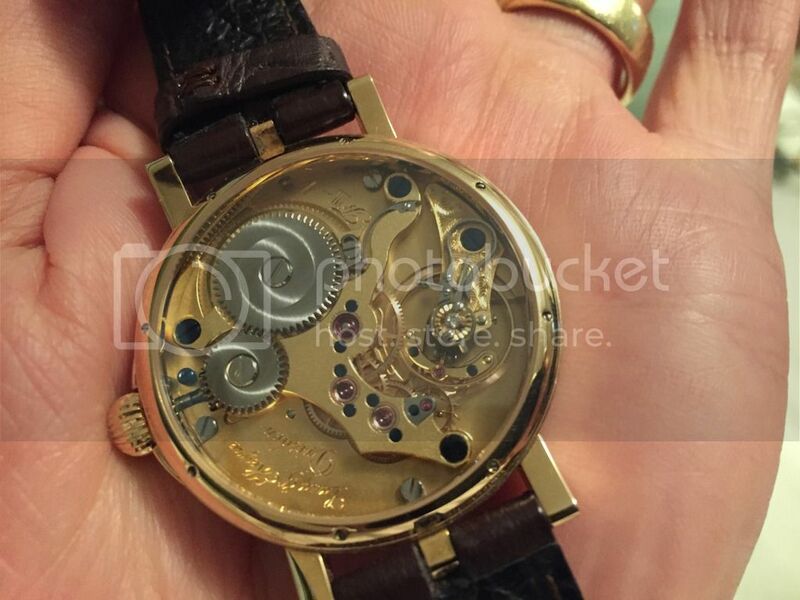 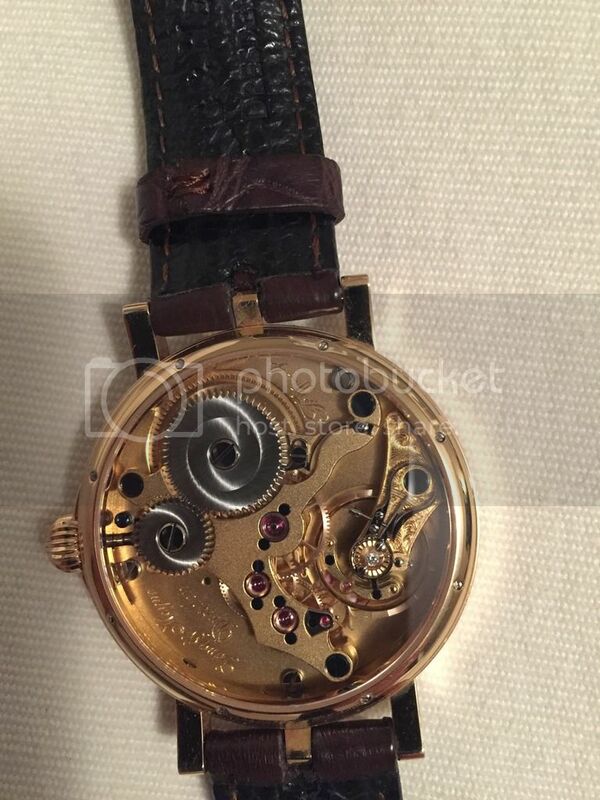 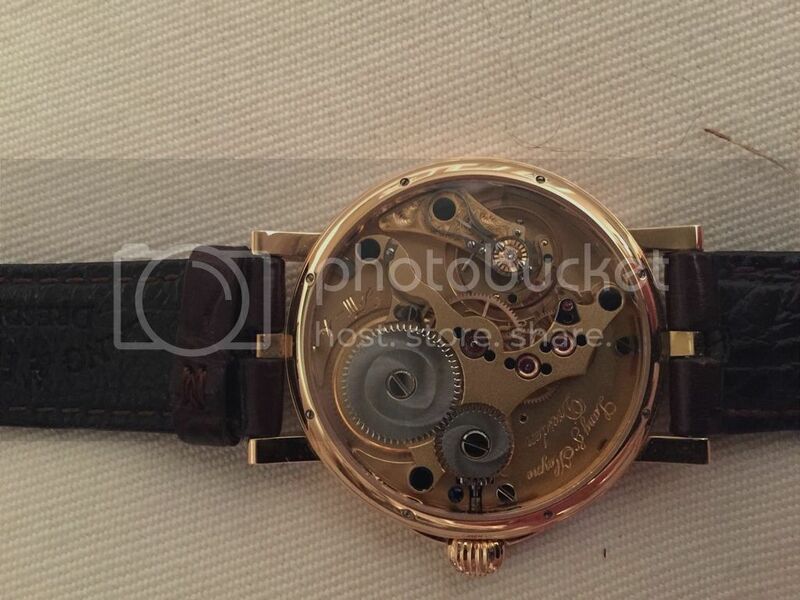 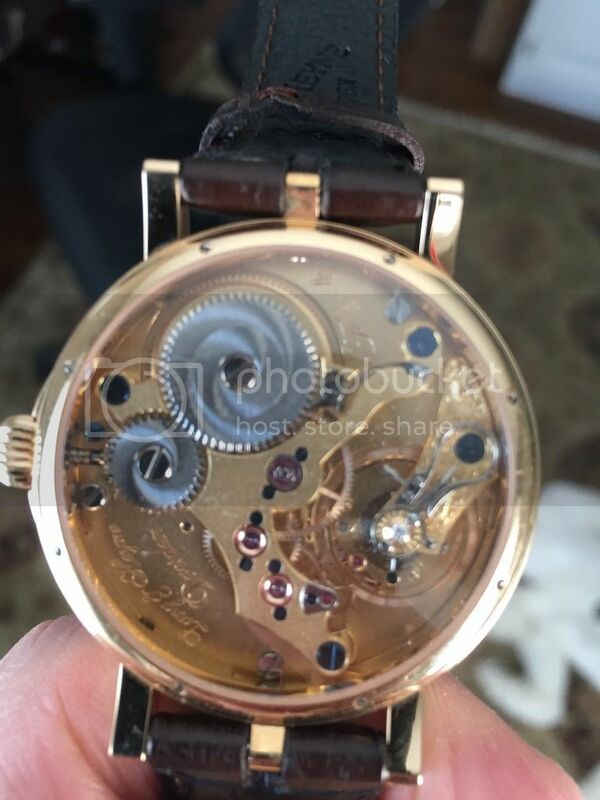 39.2 mm, rose gold, manual wind, onion crown, solid silver dial, heat-blued three-dimensional cathedral hands, and some sort of crazy (Krazy) engraving and diamond thing on the movement side, which is silver frosted and gold dusted. 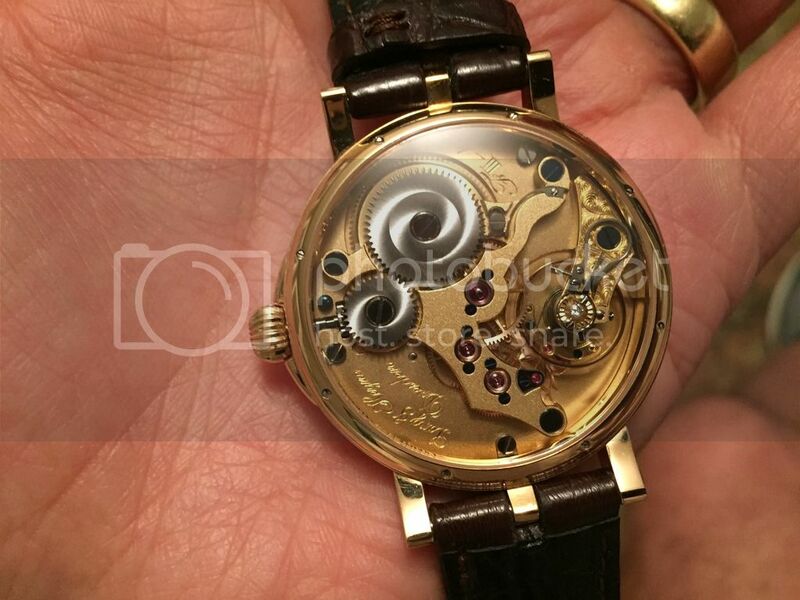 And a third lug per side that the Watch Snob dismissed as essentially an affectation. 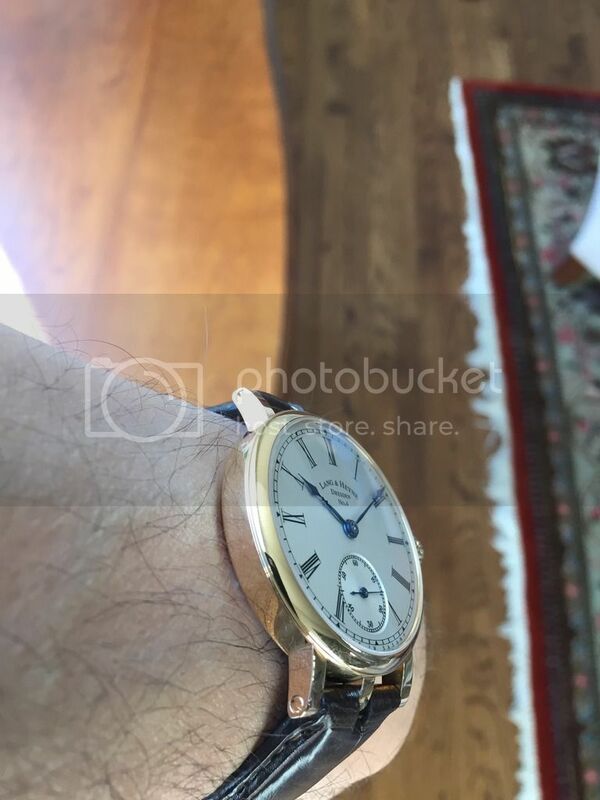 Maybe so, but I like it, and because it is somewhat recessed and shorter than the regular lugs, it is not all that prominent. 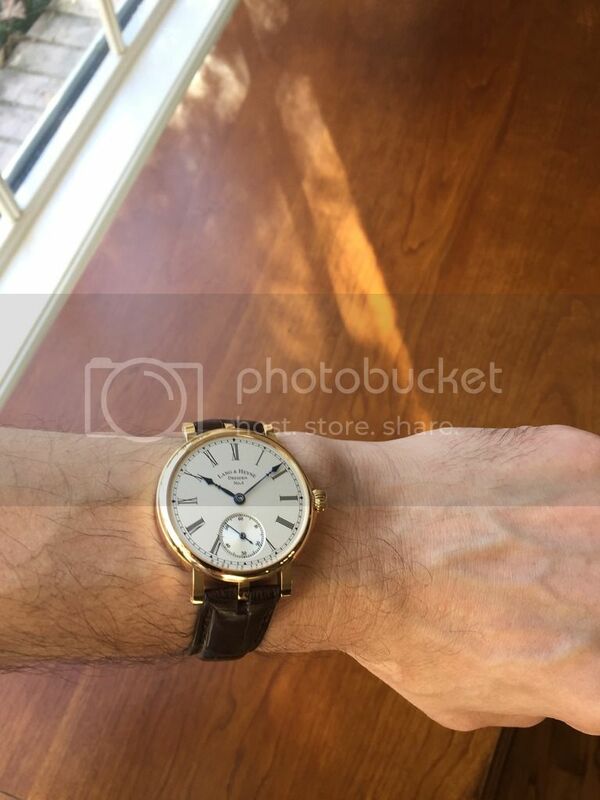 Also, the Watch Snob himself is a giant human affectation, so of course I have to categorically discount everything he says (that disagrees with me), even though he knows far more than me about everything that involves watches. 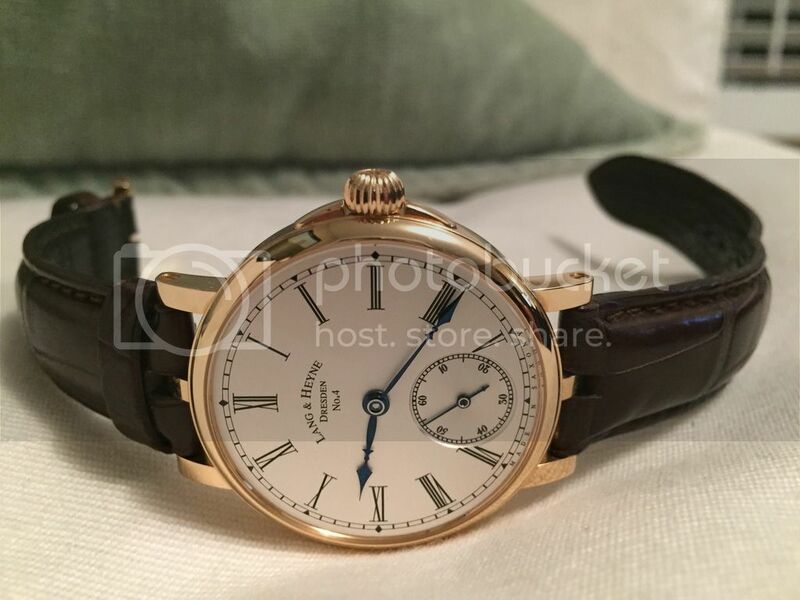 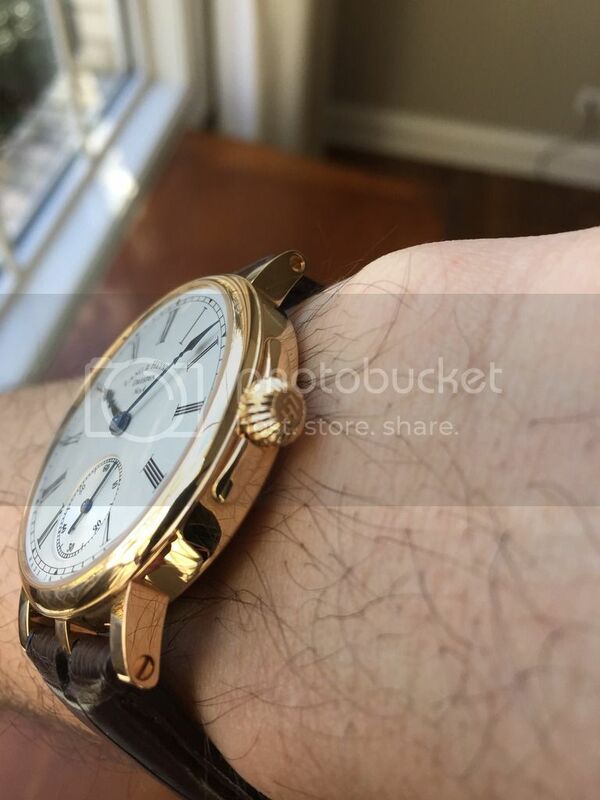 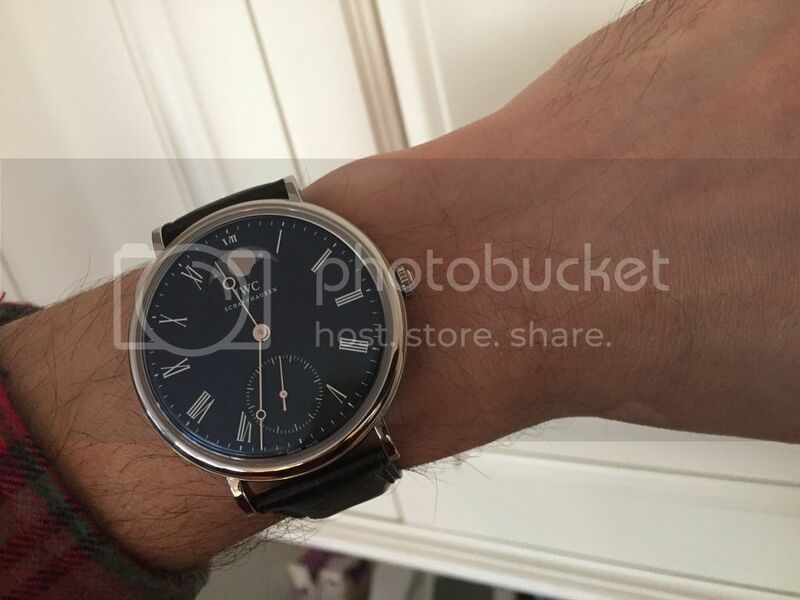 I traded in a Lange 1815 38.5 mm. 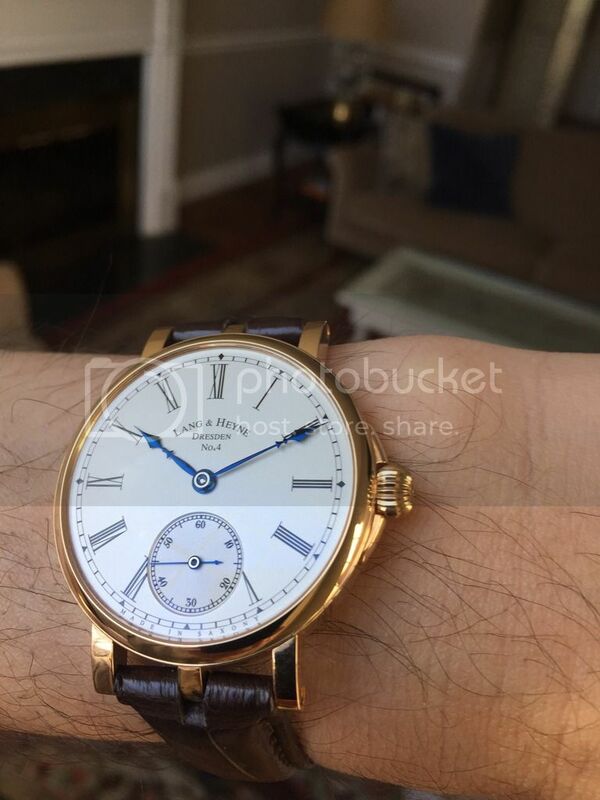 Yes, a Lange for a Lang. 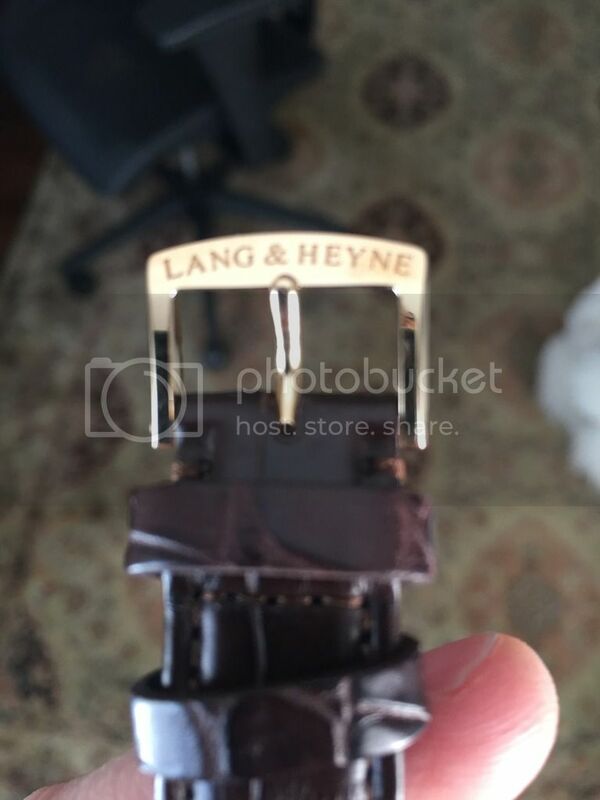 Heresy, I know, what with the well-deserved adulation for all things Lange (and I still have a rose gold Cabaret, so I'm not a naysayer). 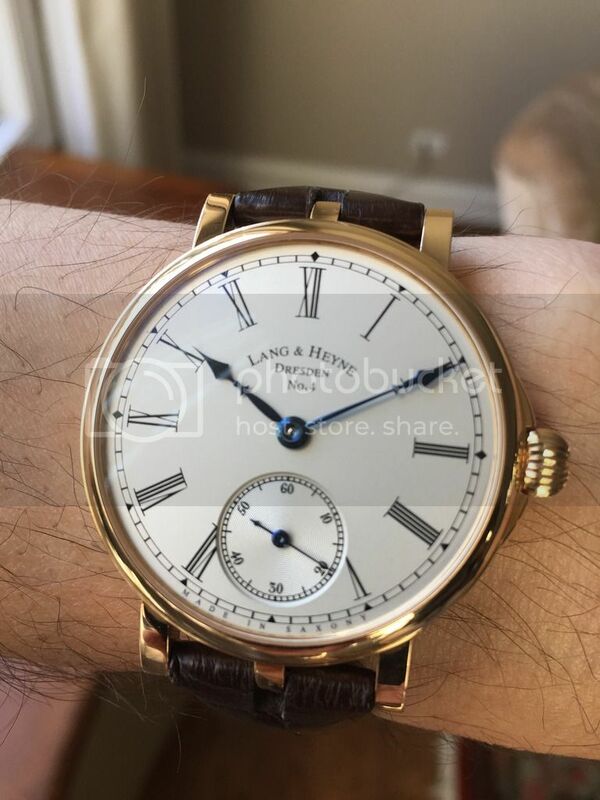 But one has to do what one has to do, and in my view, the Lang & Heyne is pretty spectacular in its own right on both the dial and movement sides. 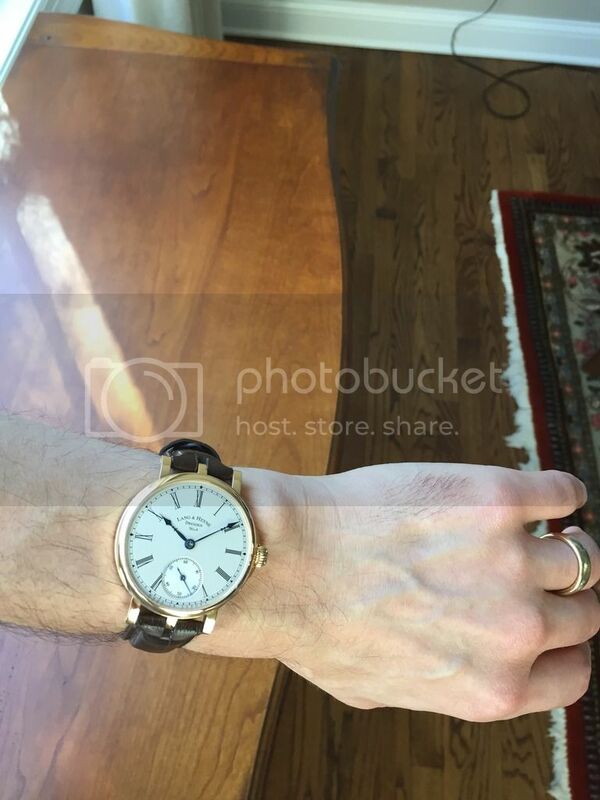 So with no further ado, here are some subpar iPhone pics that I hope you enjoy.